-Player B receives the pass with a positive first touch then make a "move" to pass the "defender" and shoot. They then retrieve their ball and go to the end of line A. 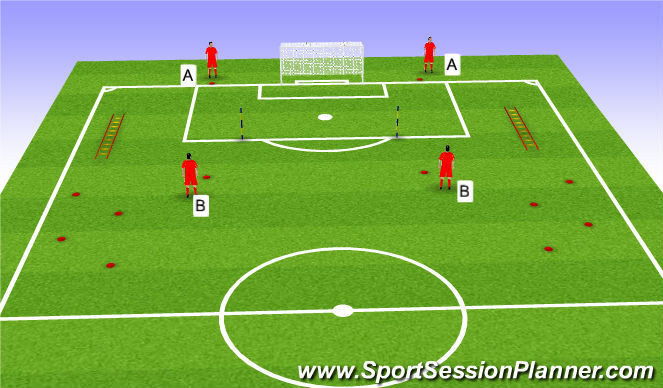 -Be sure to change lines so they are shooting from both sides of the net.